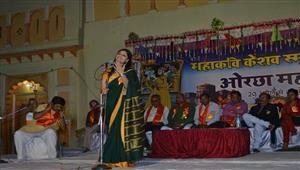 Kavi sammelan in Kathmandu, Nepal was organised by Kavi sammelan organisers. The four popular hasya kavi of the present time Shambhu Shikhar , Chirag Jain, Arun Gemini and Harish Hindustani have the potential to hold the audience for hours and hours. 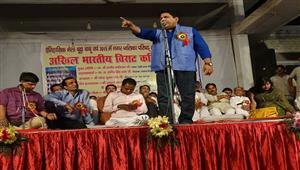 The emerging super star of hasya kavi sammelan, the mind blowing stand up comedian as well as a poet whose lines directly touch the bottom of our heart, Shambhu Shikhar gave us a very beautiful message of unity and love of our countrymen. "Deshbhakti Chai" has a very smooth blend of satire as well as comedy which shows that Shambhu Shikhar has mastery over different genres of Hindi kavita. The young poet Chirag Jain presented the soul touching poem "Anpadh Maa" which shows that age is just a number for Chirag Jain. Very beautifully written as well as impressively recited this poem "Anpadh Maa" by Chirag Jain made the listeners emotional. People appreciated him a lot. 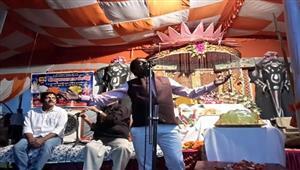 Arun Gemini is one of the best hasya kavi from Haryana. 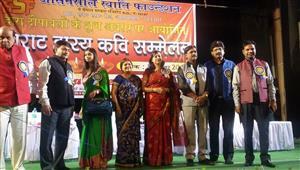 Although his hasya kavita has no boundaries and is getting more and more famous day by day. "Sahab, Seb aur Radheshyam" is a perfect hasya kavita by Arun Gemini that would bring a smile every time you will hear it. 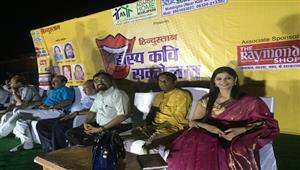 People enjoyed a lot and burst out of laughter for complete three hours. And at last but not the least Harish Hindustani, a Marwaadi hasya kavi came with a complete touch of Rajasthan. 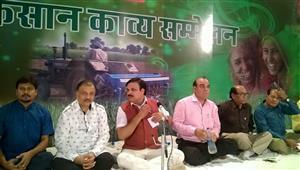 Hasya kavi sammelan in Kathmandu, Nepal had a complete package of laughter this time and the credit goes to the rulers of hasya kavita Shambhu Shikhar, Arun Gemini, Chirag Jain and Harish Hindustani. Book your favourite hasya kavi on www.kavisammelankavi.com for different occasions.